WASHINGTON — The top U.S. diplomat for Europe is resigning after only 16 months on the job in a blow to efforts to steady the Trump administration’s shaky ties with European partners amid questions about its commitment to the trans-Atlantic alliance. 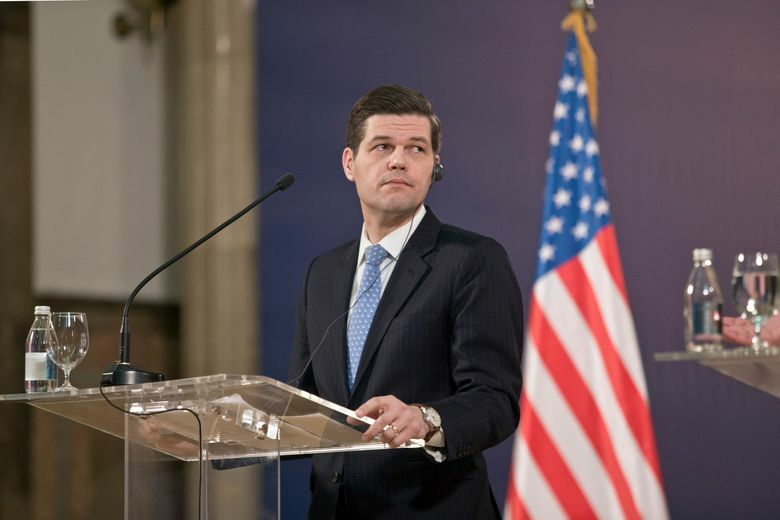 The State Department said Tuesday that Assistant Secretary of State for Europe and Eurasian Affairs Wess Mitchell will leave his post in mid-February. Mitchell told The Washington Post, which first reported his departure, that he was leaving for family reasons — mainly to spend more time with his two young children — and not over disagreements with administration policies. His resignation comes at a time of fractious relations between Washington and European capitals that have been roiled by disagreements over trade, defense spending and the U.S. withdrawal from the Iran nuclear deal. His decision to leave was announced just over a month after Pompeo delivered a speech in Brussels, the home of the European Union, questioning the value of multilateral institutions like the EU and international organizations favored by Europe, including the IMF and World Bank. Mitchell’s portfolio also included Russia and Turkey, countries with which the U.S. has been frequently at odds, as well as Ukraine. Mitchell took up the job in October 2017 under former Secretary of State Rex Tillerson after 12 years at a think tank focused on Central European issues.